Music theory, one of our top online music classes, is the analysation of how music works - by studying the notation and language of music. 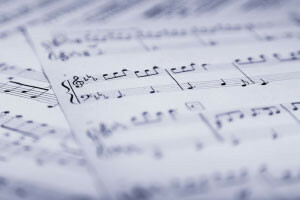 Unlike other online music lessons, Introduction to Music Theory introduces the basic concepts and terms needed to discuss melody and harmony. Concepts covered include interval, major and minor keys and scales, triads, chords and beginning harmonic analysis. The course is suitable for teens or adults with no background in music theory but some familiarity with reading common notation and playing an instrument (or singing). Upon completion of this course you will understand where octaves come from; you will know how to name a particular octave and how to divide octaves into a scale. You will know enharmonic spelling of notes such as sharp, flat or natural. You will be able to identify the pitch of a note, chromatic scales, whole steps, whole tone scales and intervals. You will understand how to classify intervals including perfect, major, minor, augmented and diminished intervals. You will know about ear training and relative pitch, tuning, playing chords by ear, improvisation, recognising intervals, writing music and much more.